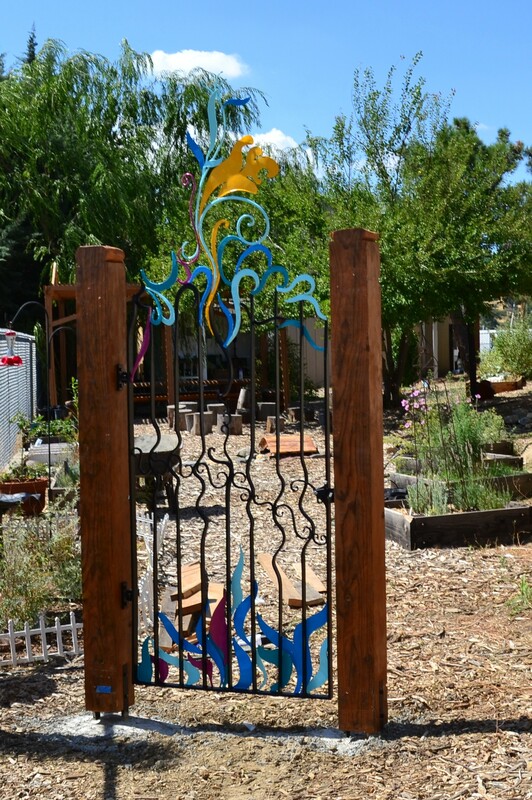 garden gate | What's not to like? 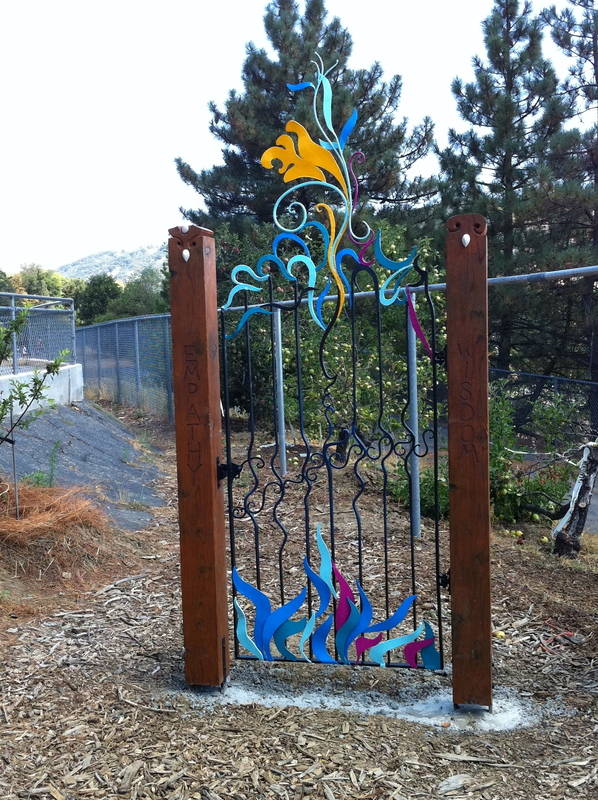 Enough teasing—I will show you a picture of the Hubbell gate. But first you must hear the story of how it came to be planted in our garden because at the end of the day, our garden is all about the stories. It matters to me very much that gardens have a sense of place, by which I mean they sprout up in such a way that is specific to the place where they are sown. I think this is the “special sauce” of our garden. Yes, we have veggies, fruit, herbs, flowers and natives. But we also have layers upon layers of meaning every which way you turn—projects and structures and art pieces that tell stories about who we are. From the beginning of our project, the idea of a Hubbell piece was thrown around. One obvious reason is that his work his ridiculously wonderful. But the other equally important reason is that he is our neighbor. When kids see the Hubbell gate, I want them to learn about shape and proportion and color and design. But I also want them to recognize Jim, our friend and fellow community member, who lives and works in our little town and gave our garden a big vote of confidence by choosing to place an original piece of art in it. So all of us Garden Club folks threw the idea around for three years. 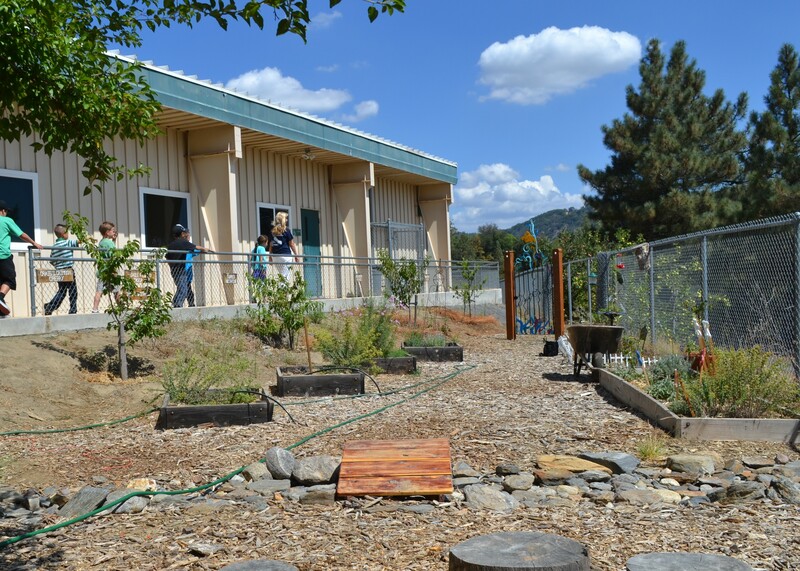 Until one day Jeff Holt visited the garden on Global Youth Service Day and upon surveying the big gains the garden had recently made, casually tossed the question to me: So, what’s one of your next big dreams for the garden? Hubbell, I blurted right out. I would love to have a Hubbell piece out here. And in a very old-fashioned gesture, Jeff said he would “make the introduction.” He did, and I gave Jim a tour. He smiled a lot, and I think he liked what he saw. At the end of our time together, he looked at me with smiling eyes and said he’d like to contribute something. I can’t remember if I cried right then and there, but I’ll tell you I was crying on the inside. He told me to think about what the garden needed, and a few things were mentioned, like a small water feature or a sundial. See, the two schools are adjacent but are totally separated by a long, long line of chain fence on our side, and then a service road and another line of chain link. Jim suggested we connect the gardens, we connect the schools, we connect students’ learning. Then the talk turned magically philosophical—about how gates are portals to the next thing, the entrances to new beginnings, thresholds to fresh life chapters that may seem scary but are really just unknown—-much like the transition from elementary school to junior high, and of course, so much more. Jim left, and Marisa and I cried. 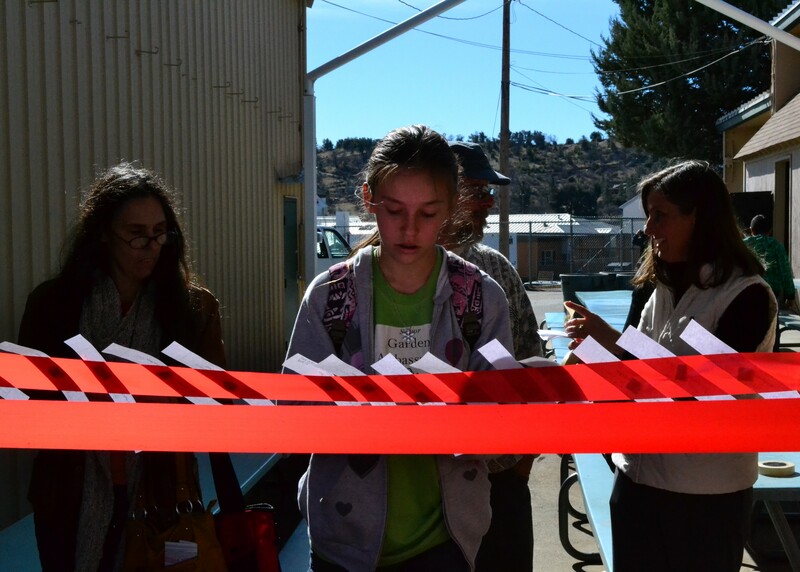 And then a Julian resident, Mike Gallo, extravagantly stepped up and funded the entire project in a single swoop, in loving memory of his late wife. Jim drew a sketch and got to work with artist colleagues Bill Porter and John Wheelock. We started to tell people with excited little giggles, and they marveled with us. The gate was on its way. 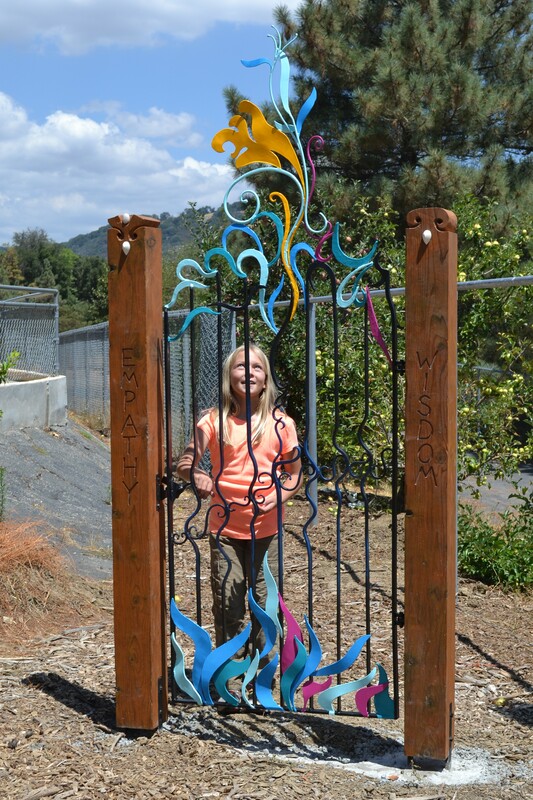 I began to write curriculum about garden gates which you can read about here. 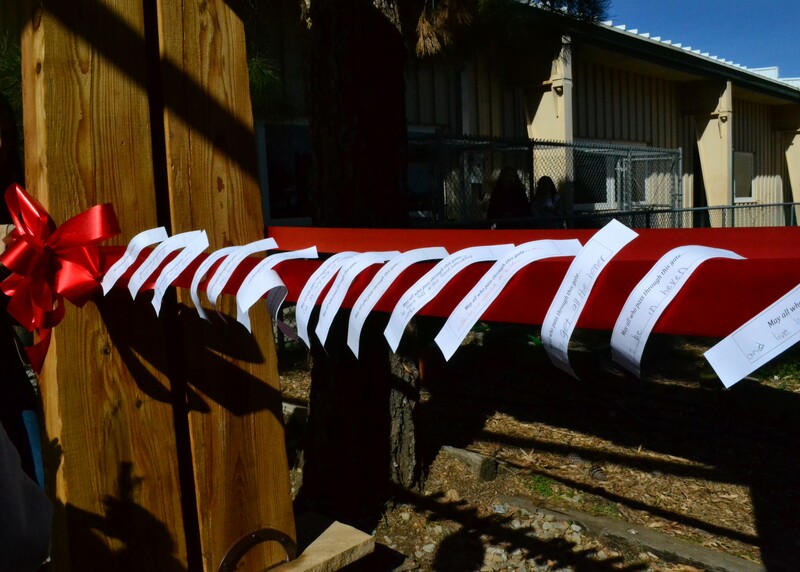 We also had students start to document the whole process, and I’ll show you their step-by-step photographs later when we celebrate the ribbon cutting. 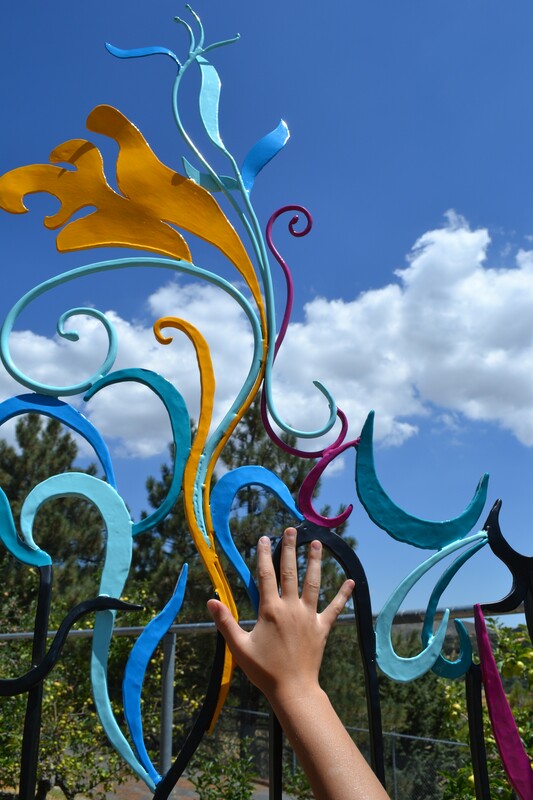 From the beginning of our partnership with artist James Hubbell we had the idea of student photographers capturing the development of the gate. At important moments in the gate’s creation, I’ve grabbed kids at recess, lunch or after school to come snap away. When we have the official ribbon cutting in October, we will have student photography displayed to tell this extraordinary story. So here’s another layer of totally cool: student artists from our Kids with Cameras class documenting this historic moment in the garden. 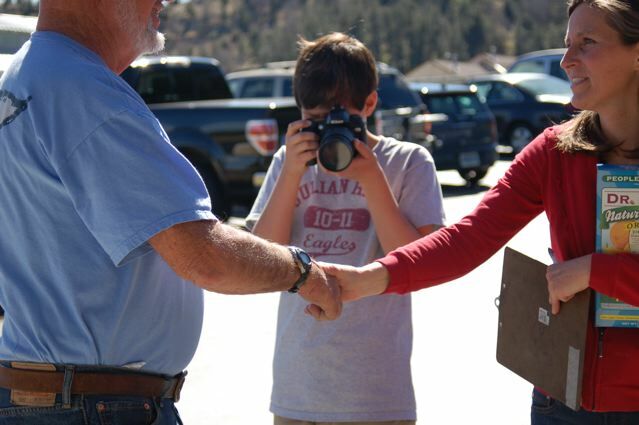 Last Spring Avery took this picture of Ethan capturing the moment when I met Bill Porter for the first time. 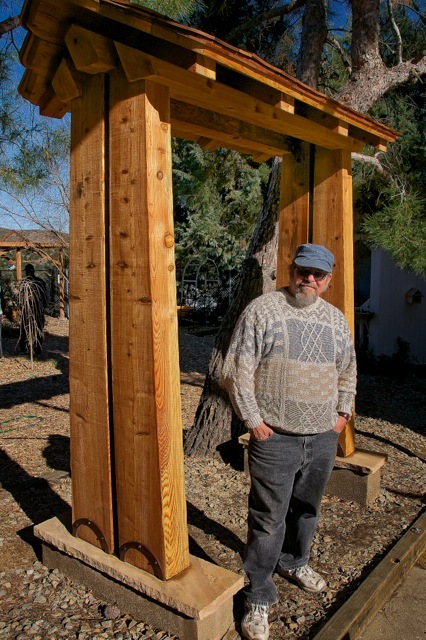 (He is a fellow artist and friend of Hubbell’s who worked on the gate.) More pictures to follow! Julian has a few famous people. One of these local/global treasures is the artist James Hubbell, who lives and works in our little town. 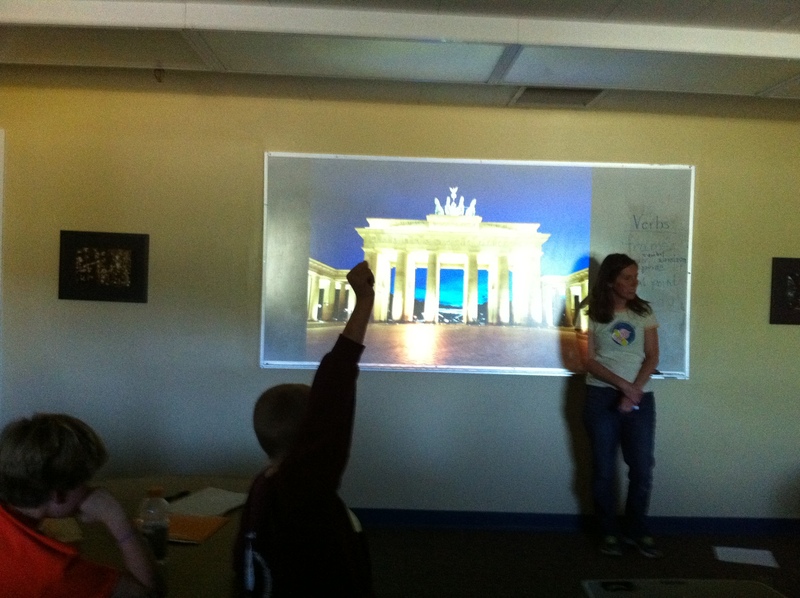 Mr. Hubbell has buildings, sculptures and paintings all over the globe. People find his work wildly creative and soaringly beautiful, and he’s known the world over for his visionary spirit, wide artistic range and kind heart. Guess what? He’s making a piece for our school garden. Not just any piece—an original gate, inspired by our little garden. 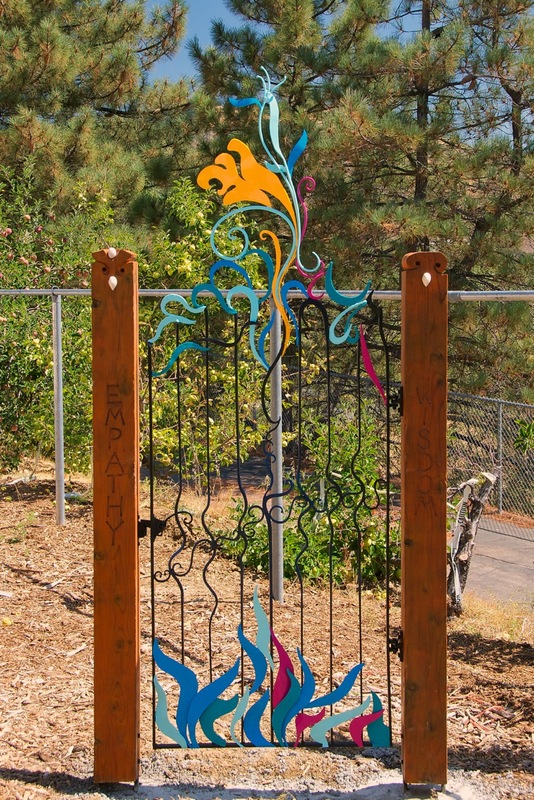 This work of art is going to be installed on a section of our school garden that was once a no account piece of broken asphalt in a weedy corner of campus that no one ever visited. This, I believe, is redemption writ large, and it’s all happening in the next two weeks. The garden currently has two gates (this one and this one.) 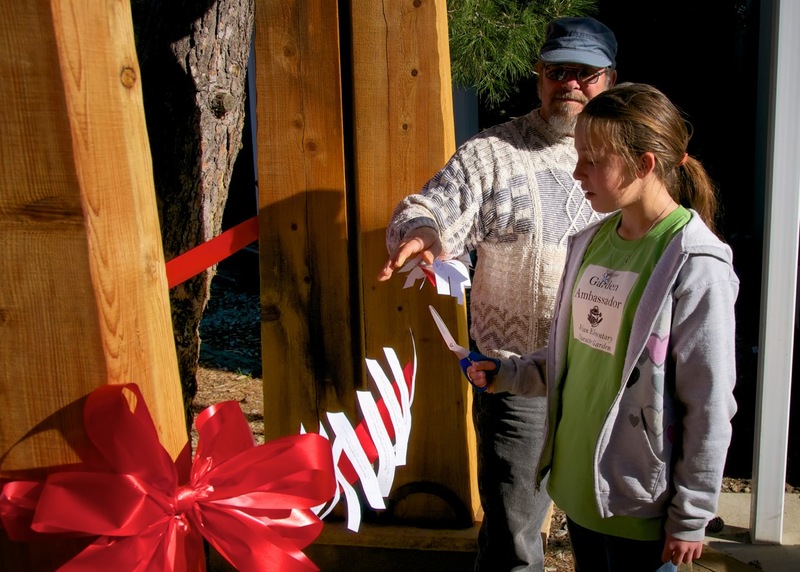 A third gate is underway by the world-renowned artist James Hubbell. This is a jaw-droppingly wonderful development and deserves a series of posts all by itself. Stay tuned on that one. 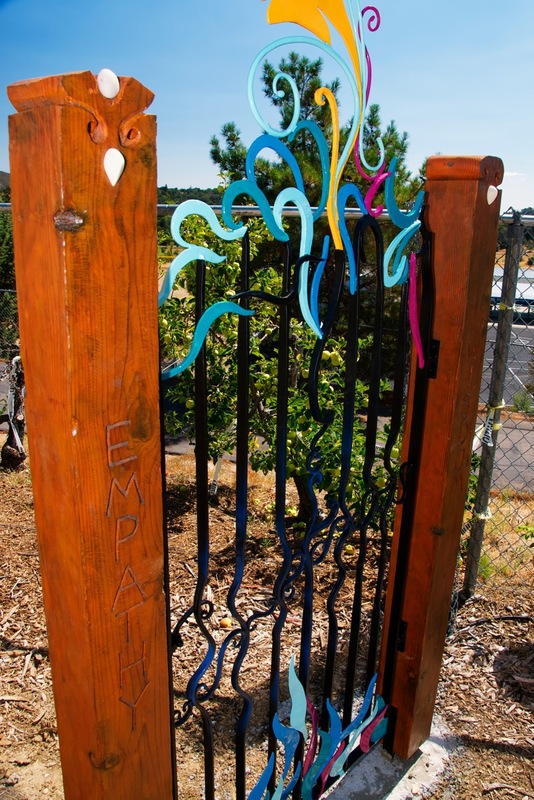 To prepare students to hear from Mr. Hubbell next week and get them excited about this soon-to-arrive art piece, we had an interactive slideshow on gates. 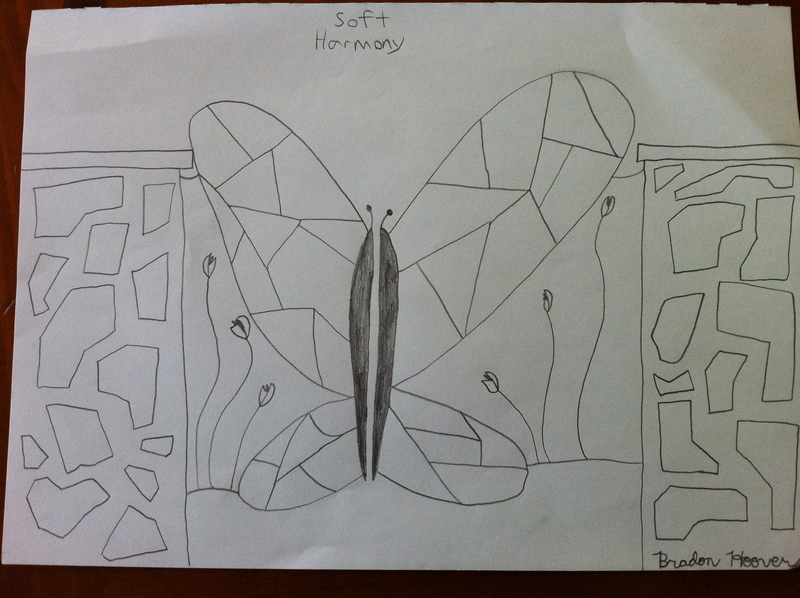 With enthusiasm, the students responded to photos of our current gates, a drawing of the Hubbell gate and images of gates from around the world. 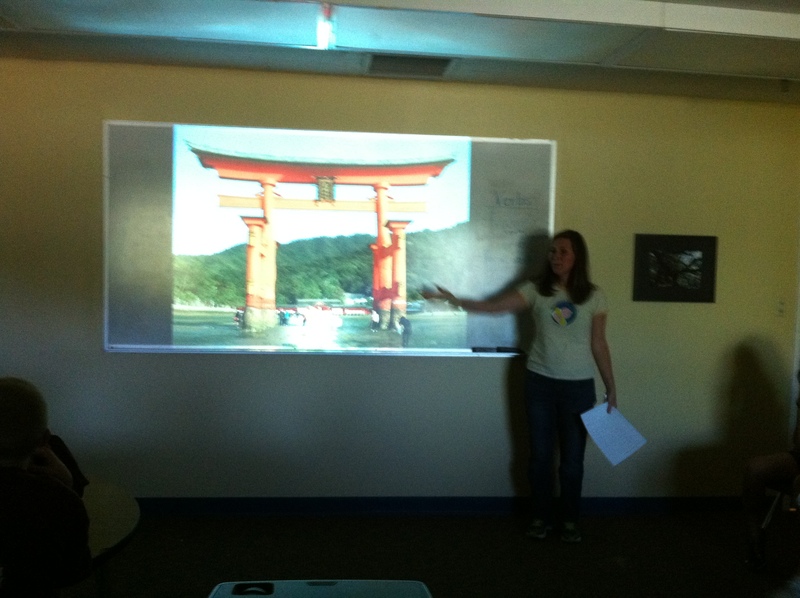 With each entranceway, we looked at the questions 1) What does it look like? 2) What is its story? and 3) What is its purpose? As we talked back and forth, we developed a running list of words that describe what gates can do: frame a view, direct traffic, commemorate an event, serve as visual interest, be a focal point in a landscape, welcome or exclude, stand as important symbols…. Thank you to the artist and family for permission to post! Our three-year garden renovation has included taking down fences. 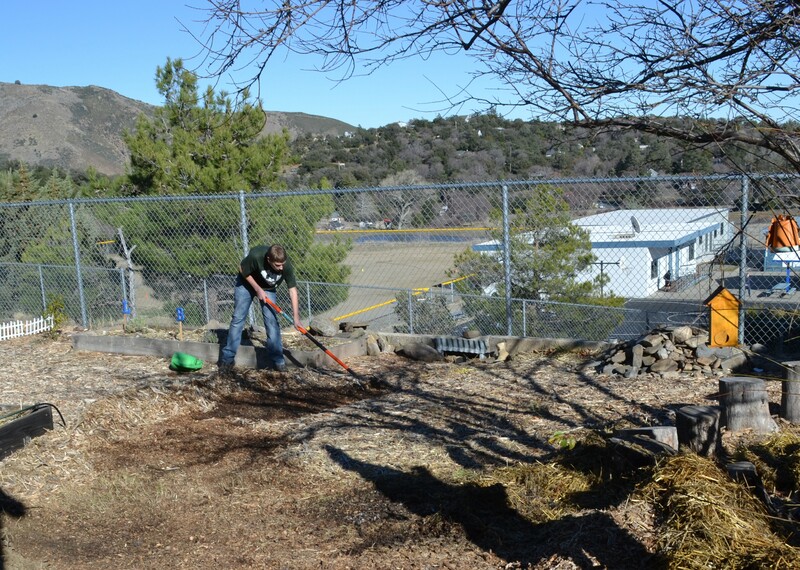 To begin we removed a major fence which immediately doubled the footprint of the garden. And then we lowered the fence that borders the student walkway to a waist-high level. 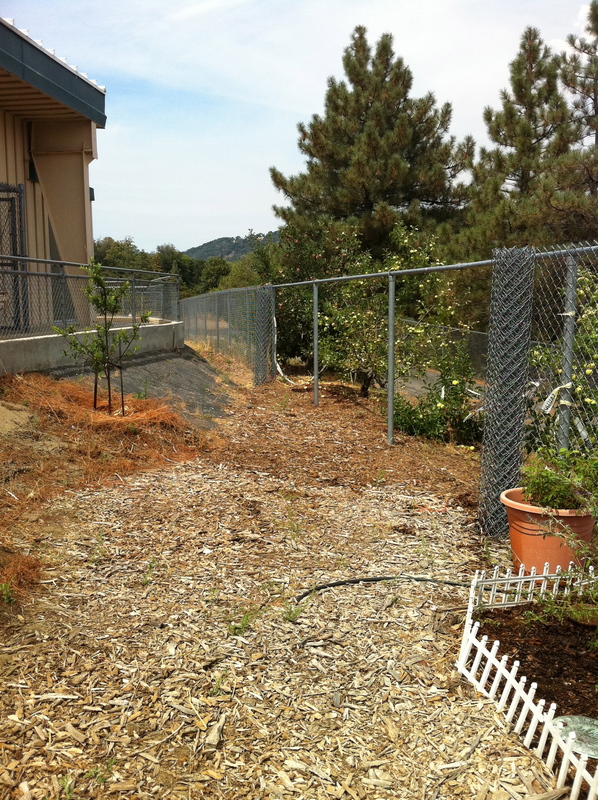 Next we took down the fence that borders the “outdoor lunch area” in order to move in our massive rainbarrels…. and then decided not to put it back up, but to create a “grand entrance” on that side of the garden. Someone gave me a book of garden project blueprints. The garden club looked them over and settled on a cute gate. I happened to have the book in my bag when I stopped for lunch one day and saw my friend Art. Throwing the book open to the design, I promised to purchase everything on the materials list and recruit a work team if he would agree to build it one weekend. Art, you see, is a dedicated community member, a loving father to a student at our school, a multi-talented artist, an accomplished builder, a dynamic teacher…..and just plain crazy. That’s why he was possessed by an urge to tell me the gate I had in mind was completely ordinary and unimpressive, and what we really wanted was…(at this point he grabbed a pile of napkins and passionately began to draw diagrams and arrows.) And before my street tacos had even settled, the garden had yet another completely remarkable project in the queue. He named it the “Kandu! Gate,” giving it a Japanese-sounding name to match some of the styling and reminding us every time we pass through the gate: if we can imagine something, we can do it. All Hail the Eagle Scout! 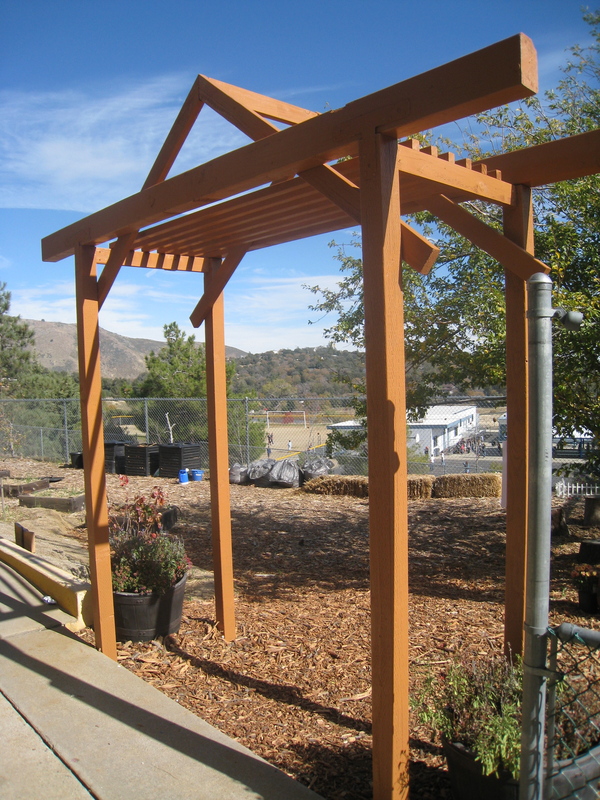 Big tip: the Boy Scouts of America are an amazing resource for school gardens. The ultimate goal of any Boy Scout is to achieve the rank of “Eagle Scout,” which requires many things and culminates in a big project. 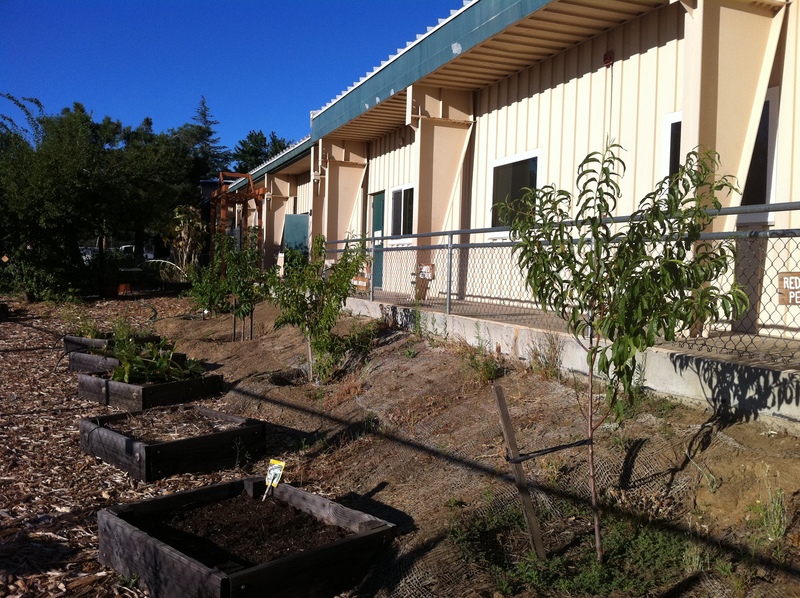 And what do all school gardens have in common? BIG PROJECTS! 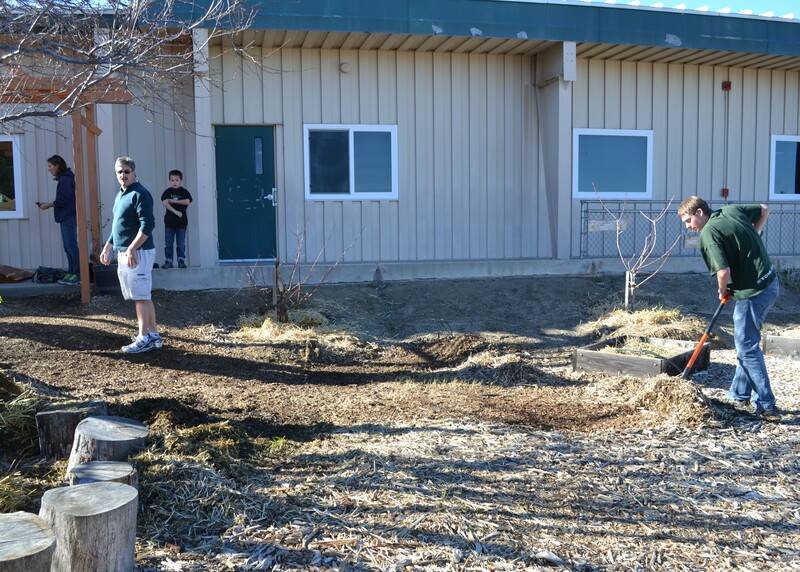 Making an addition to the garden, the scouts have the opportunity to leave a legacy at the elementary school they attended. Thus far we have been the lucky recipients of two projects.